Obituary for Amelia A. "Dolly" Pizzi | DellaVecchia, Reilly, Smith & Boyd Funeral Home, Inc.
Amelia A. 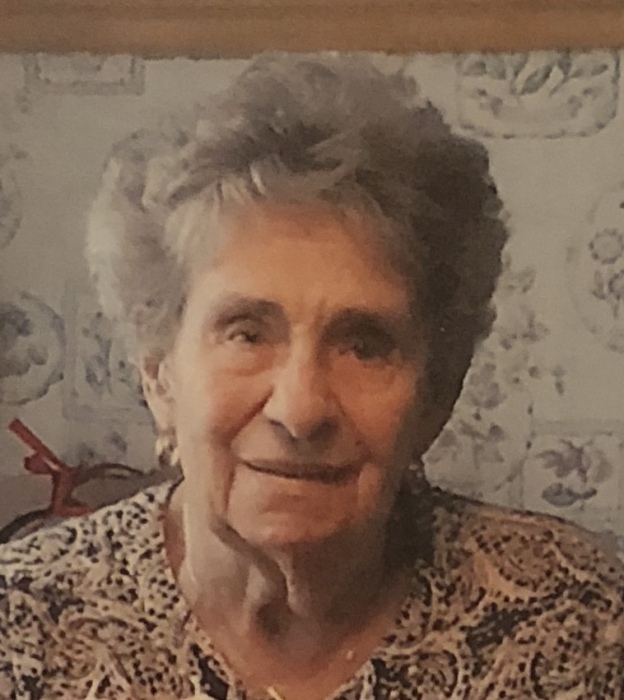 "Dolly" Pizzi, 90 of West Chester, PA passed away Saturday, August 11, 2018 at Neighborhood Hospice, West Chester, PA.
She was the wife of Albert E. "Butch" Pizzi. Born May 6, 1928 in West Chester, PA, she was the daughter of the late Carlo DiMarco and Vincenzia Piccone DiMarco. Dolly graduated from West Chester High School 1946 and had worked at Bell of PA in West Chester, PA for many years retiring in 1989. She enjoyed making chocolates, baking, cross-stitch and loved to crochet blankets, while enjoying all her friends she had during her retirement in Milton, DE. In addition to her husband, she is survived by her daughters Christine A. Pizzi of Parkesburg, and Lisa A. Pizzi of Malvern; grandchildren, Kimber Johnson of Tulsa, OK, Stephanie and Mallory Zercher of Parkesburg, Brad Hoxter of West Chester and Nick Hoxter of Malvern; great-grandchildren Thomas, Samir and Amelia Lacey of Parkesburg; and siblings, Mary Versagli of Kennett Square, Dorothy Bruno of West Chester and Charlie DiMarco of West Chester. Dolly was preceded in death by her brothers Frank DiMarco and Donald DiMarco. Relatives and friends are invited to her Visitation on Sat., Aug. 18, 2018 from 9:00-10:00 am at St. Agnes Church, 233 W. Gay St. West Chester, PA 19380; followed by her Funeral Mass at 10:00 am.